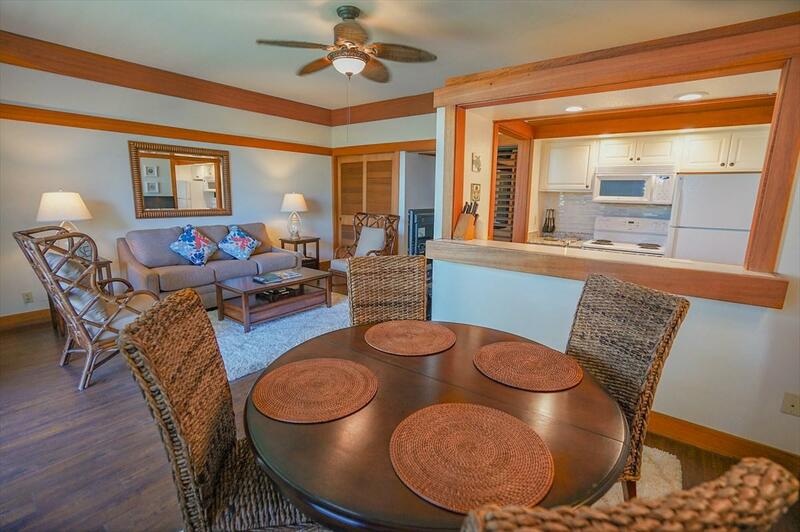 You will love this upgraded 1 bedroom condo at one of Kauai's most beautiful South Shore resorts! 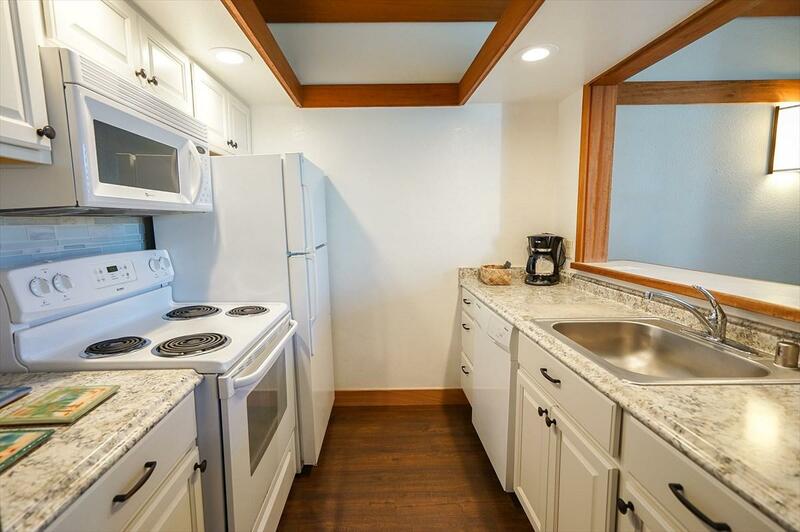 Located on the second floor, is it a fully furnished, 1 bedroom, 1 bath with beautiful new floors, new furniture, upgraded bathroom, upgraded kitchen with stainless steel appliances and quartz counter-tops. 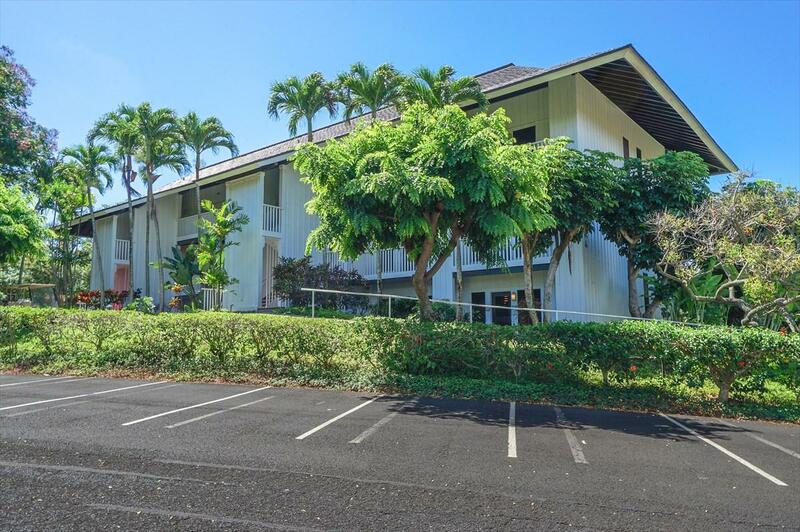 You will love the privacy and quiet of the garden view from your lanai. The lanai brings lots of natural light into your unit. The location of the unit provides for an easy walk to the beach, and a close drive to world famous golf courses, shopping and restaurants. 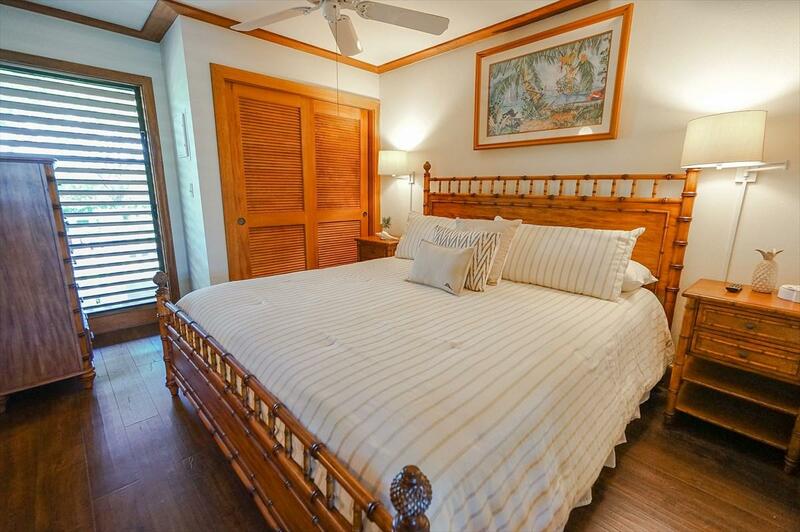 The property is a leasehold property.Amenities include: High speed wireless internet, Cable TV with TVs in the living room and bedroom, Membership with Poipu Beach Athletic Club, fitness club and pool, Free parking, 24 hour security, On-site management companies, and Kauai's famous Plantation Garden Restaurant.